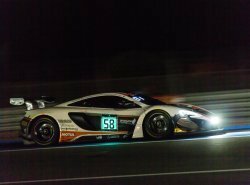 The race – which ran into the night in the south of France – was thrilling, with the #58 650S GT3, run by customer team Garage 59, overcoming its rivals late in the race to take its second win of the Blancpain Endurance Cup season. 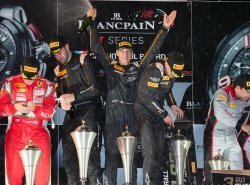 The win sees Bell, van Gisbergen and Ledogar top the Blancpain Endurance Cup Drivers Championship, and Garage 59 now leads the Teams Championship. A hard-fought qualifying session saw van Gisbergen secure P5 for the 650S GT3 with a laptime of 1m 56.557s, just 0.214s off pole. 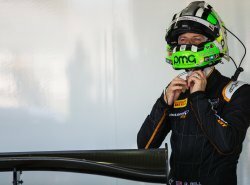 The pace and intentions of the team were then immediately evident from the start of the race, as Bell began a charge to the front, climbing to P3 on the opening lap. He would continue pressing the leaders for the remainder of his first stint. Ledogar climbed aboard for the middle sector of the race, and maintained P3 with consistent lap times during his double stint before handing the car over to Bell once again as the sun set over Le Castellet. As the final two hours of the six-hour race approached, van Gisbergen readied himself for a final charge, the Kiwi hoping for a repeat of his performance at Monza. After briefly dropping out of the top three after the pitstop, the Garage 59 crew made up for lost time, calling a tactical pit stop in the final 15 minutes of the race under a full-course yellow caution. The bold strategy move saw the #58 rejoin the circuit in a strong position, and moved into the lead in the closing stages. As the chequered flag dropped after six hours, van Gisbergen held on to take the second victory of the season for the 650S GT3 in the championship. 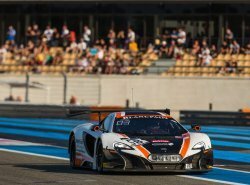 The second Garage 59 entry – the #59 650S GT3 – with the three McLaren GT Driver Academy drivers at the wheel also had a very promising outing, starting P27 and finishing P14. Alex Fontana, Struan Moore and Andrew Watson ran a well-managed strategy, and showed consistently strong pace to battle through the field. In North America, Factory Driver Alvaro Parente continued his Pirelli World Challenge title push with two top six finishes in the #9 McLaren 650S GT3 run by customer team K-PAX Racing. Making his debut at the Road America circuit in Wisconsin, Parente fought hard with the leaders to secure valuable points and maintain his lead in the championship. 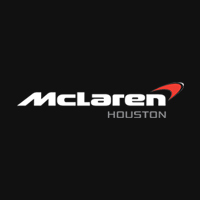 Contact McLaren Houston about the McLaren GT Programme.